final image of the first collab I've done with birdskull she did the line art I did the coloring. Was a lot of work, it was totally worth it. 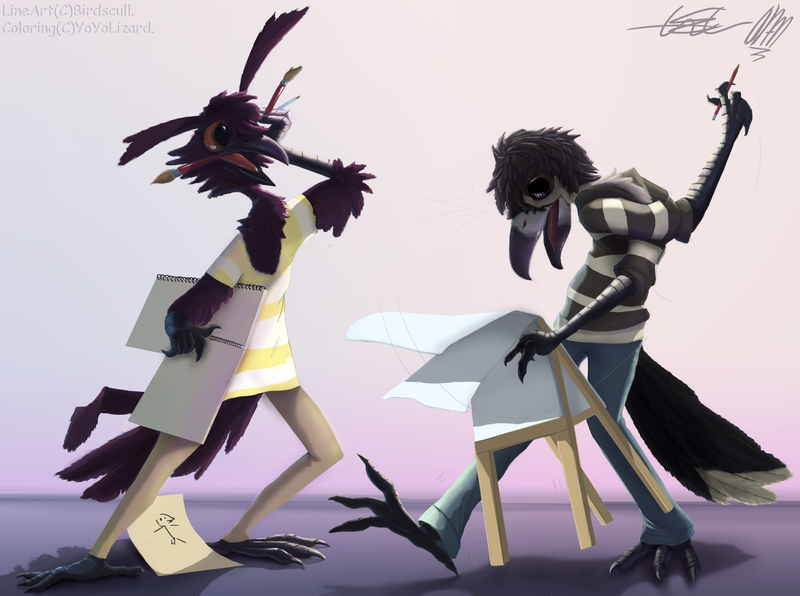 the pic is a collaboration of our fursonas collaborating.